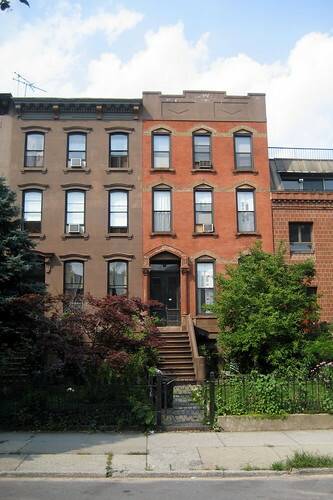 After what I’m told is by NY standards an unusually short search for a place to live (it was the second place we looked and on our first day of looking), we found a place in Carroll Gardens, one of our favorite neighborhoods in Brooklyn. Our place is the top floor of a brownstone built around 1900, similar to the ones you see in the photo at the bottom of this post. I’ll be out here (i.e. NY) for good by September 1. The landlord is very friendly and lives three doors down (we signed the lease at her kitchen table, which was filled with photos of her with her family). We were warmly welcomed to the neighborhood by both the merchant at the corner store and the kind folks at Moonshine (which is officially in Red Hook, but a short walk). All in all, it’s been a surprisingly delightful experience after I had spent the last few weeks bracing for a brutal apartment search. Since we booked over a week in NY, we are using the found time to catch up with friends here and do the kind of things you do in New York. While we still have to pack up our stuff back in the Bay Area and move cross-country, knowing exactly where we’re going to land makes the whole process a lot simpler. Previous Post And in the end. . .
Congrats Chad, one of our closest friends lives in Carroll Gardens and we always love visiting her and her family. 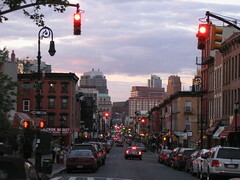 Great restaurants, great people and easy to get to Manhattan. @Scott – let me know when you’re in town! carroll gardens is wonderful!! i used to live at president/clinton. two years after leaving cg for sf, and i still miss it. enjoy it! Good luck with you job at Etsy and living in Brooklyn – oh, that would so be my dream (okay, not the job doing technical, computer things – that would be a disaster:) – but since I’m firmly rooted in Belgium – I’ll just stick to travelling and visiting NY and Brooklyn!